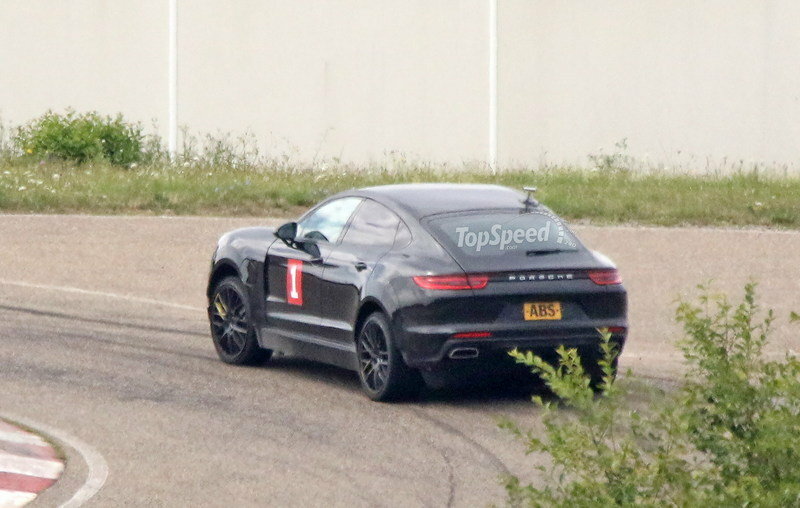 While the spy shots suggested that Cayenne Coupe is a regular Cayenne with a revised rear end, this sleek SUV is more than that. Porsche made notable revisions to the front fascia as well, where it included a new grille. 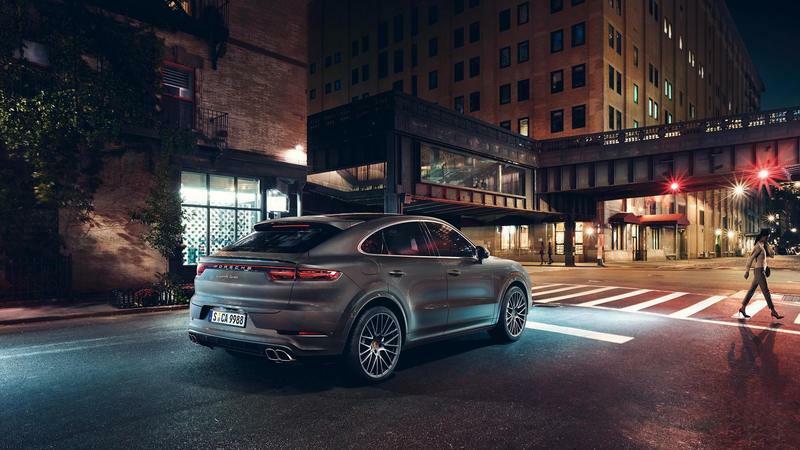 The three-piece element of the regular Cayenne was revised to include larger vents on the sides and new vertical and horizontal slats that give it a more aggressive look. The daytime running lights now include a pair of LED stripes on each side instead of just a light bar. The lower bumper, the headlamps, and the engine hood appear to be the same, but the new grille is enough to put the Cayenne Coupe into sportier territory. 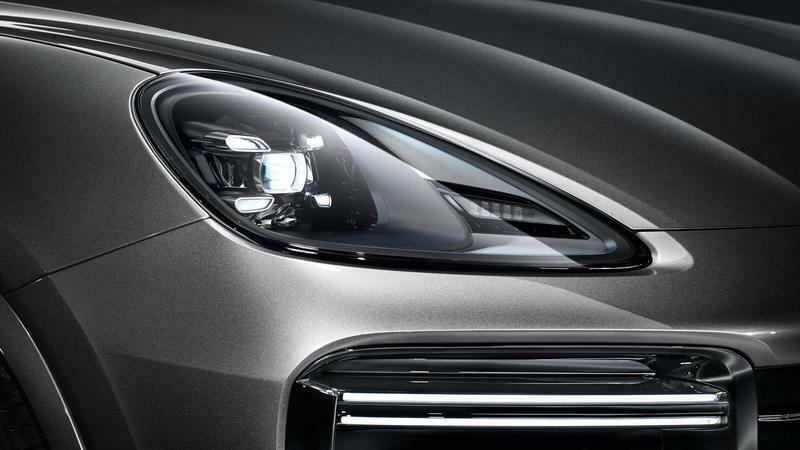 Moving onto the sides, the Cayenne Coupe retains the proportions of the regular SUV from the nose toward the B-pillars. Changes in this area include a slightly lower roof and shorter windscreen. Porsche says the roof sits 0.8 inches lower so it’s not exactly noticeable, but it adds to the sleekness of the vehicle when combined to all the other changes. The Cayenne Coupe stands out on its own behind the B-pillars. The rear doors don’t seem to be notably smaller, but their windows are obviously different in order to accommodate the coupe-style roof. The glass becomes increasingly smaller toward the rear, where they meet smaller quarter panels. The D-pillars are also sleeker and descend smoother toward the deck lid. 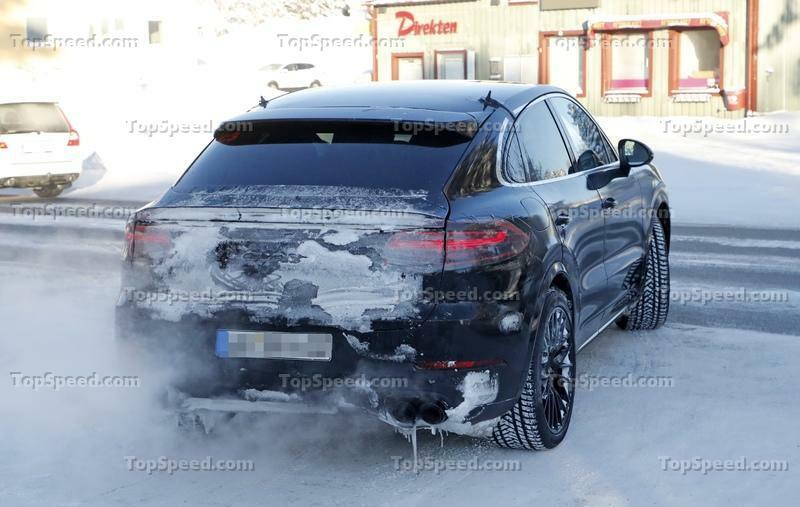 All these features make the Cayenne Coupe’s rear profile look a bit more muscular. 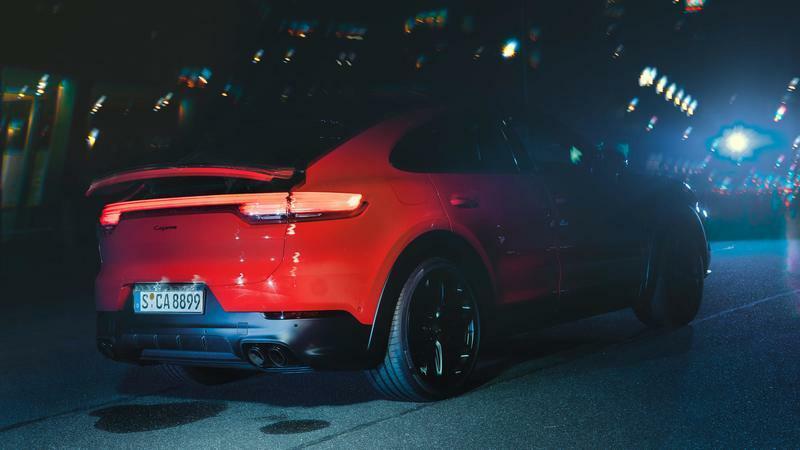 The Coupe’s rear end is notably different than the regular Cayenne except for the trademark taillights that extend over the entire width of the fascia. The tailgate is obviously different due to the heavily slanted rear windscreen, but the roof spoiler was redesigned too. Perhaps the biggest news is the adaptive spoiler integrate into the tiny deck lid. This element extends by 5.3 inches at speeds above 56 mph to increase downforce to the rear axle. The rear fascia is cleaner than the Cayenne’s below the taillights because Porsche decided to move the license plate recess into the bumper. This revision adds a touch of sportiness that’s also backed by the more aggressive bumper design and diffuser-like element. Definitely a cool way to eliminate the utilitarian feel of the regular Cayenne. 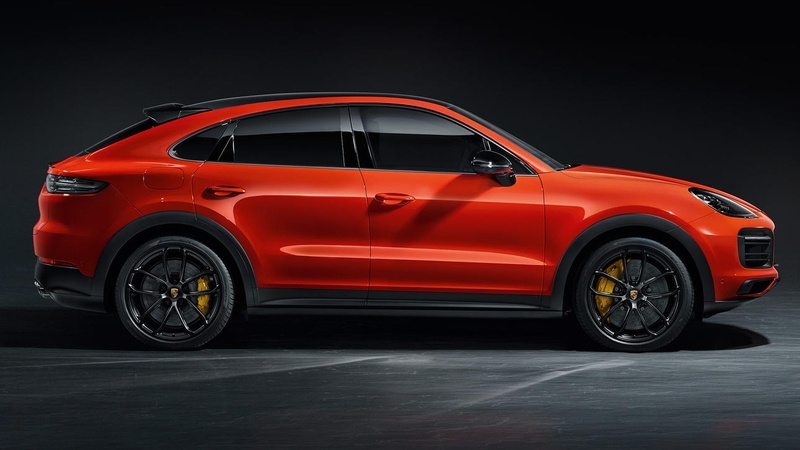 The base Cayenne Coupe rides on 20-inch wheels as standard, but Porsche offers a new set of 22-inch GT Design rims for this crossover. The thin, twin-five-spoke wheels are obviously inspired by the 911 sports car. A panoramic sunroof is also included as standard, but the big news is that you can ditch it for an optional carbon-fiber roof. This is a first for the Cayenne and a feature that shades a few pounds of the SUV’s curb weight. 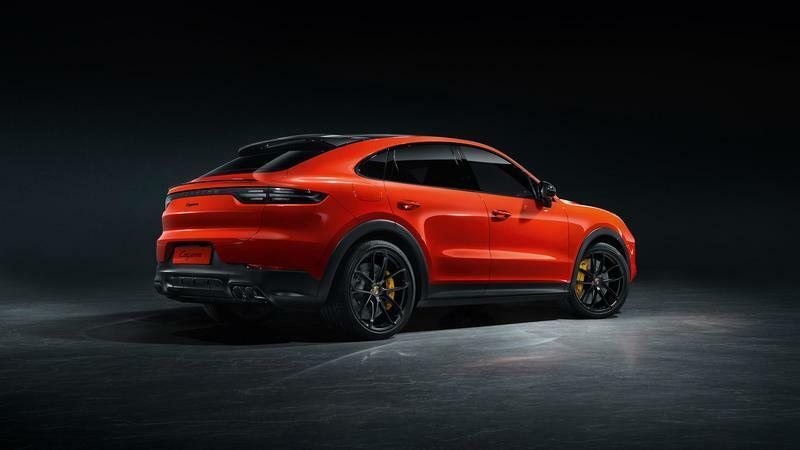 Porsche doesn’t say how many pounds were removed here, but combined with the smaller pillars and the shorter roof; the Cayenne Coupe should be at least 30 pounds lighter in this department only. Overall, the Cayenne Coupe looks just like what it’s supposed to be: a competitor for the BMW X6 and the Mercedes-Benz GLE Coupe. As you might have already guessed, the Cayenne Coupe is identical to its regular sibling inside the cabin. This isn’t a bad thing though as Porsche redesigned the Cayenne for the 2018 model year and the cabin looks fresh. Look for the same rectangular dashboard with a big infotainment display in the center, a trapezoidal center console with controls on both sides of the gear shifter, and vertical A/C vents at the corners. 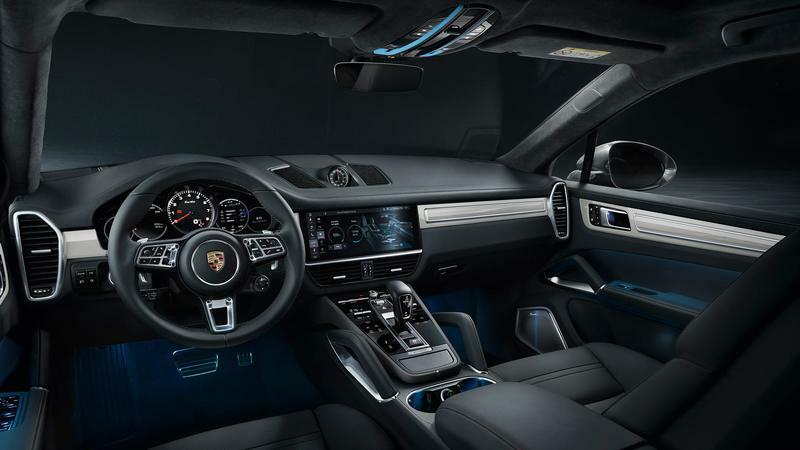 The familiar Porsche steering wheel with three spokes sits in front of a digital instrument cluster with a big rev counter in the middle. Just like the regular SUV, fit and finish is of the premium variety, as are the materials, including the plastic bits in the less expensive models. Of course, you can opt for various materials for the seats, dashboard, and door panels, including leather and Alcantara. But Porsche actually placed the Cayenne Coupe a tad higher in the lineup. 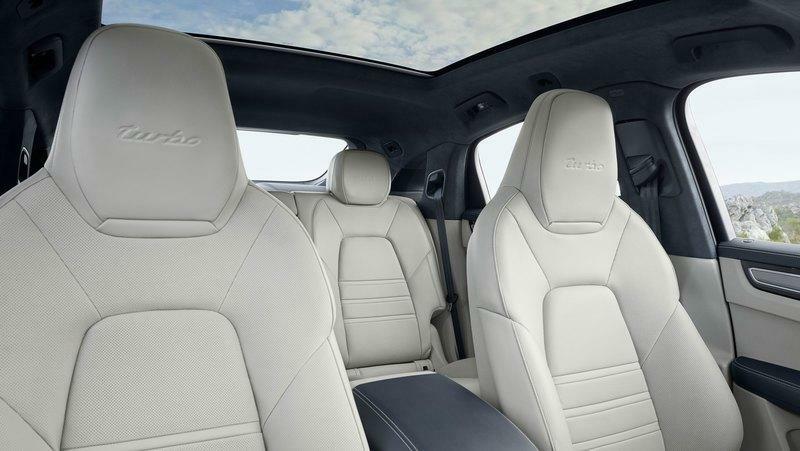 Unlike the regular SUV, it comes standard with eight-way adjustable sports seats. These are very similar to the 18-way seats that are standard in the Turbo version, so they offer enhanced lateral support and feature integrated headrests. The Cayenne Coupe becomes unique in the rear, where the coupe-style roof decreases headroom for rear passengers. Porsche has yet to release figures so it’s hard to say how much room there is, but tall passengers should have some issues in the rear seats. However, if you’re not too tall, you should be just as comfortable as in the regular Cayenne as Porsche managed to lower the sets by almost 1.2 inches. Just like the regular Cayenne, the Cayenne Coupe comes with a rear bench as standard, but you can opt for the individual rear seats at no additional cost. This layout turns the Cayenne Coupe into a four seats and enhanced comfort and shoulder room for rear-seat passengers. Unfortunately, the coupe layout impacts cargo room as well. This crossover can take up to 22 cubic feet of luggage behind the second-row seats, a 5.2-cubic-foot drop compared to the regular Cayenne. The Turbo model takes up to 21.2 cubic feet with a similar decrease. With the rear seats folded flat, capacity increases to 54.3 cubic feet, down from 60.4 cubic feet for the regular Cayenne. But even though it’s not as roomy as the regular Cayenne, the Cayenne Coupe offers a bit more room than the BMW X6. The Bimmer is rated at 20.5 with the rear seats in place, meaning you benefit from an extra 1.5 cubic feet in the Porsche. Fold the seats and the X6 will take up to 53.8, which is a half-cubic-foot decrease compared to the Cayenne Coupe. 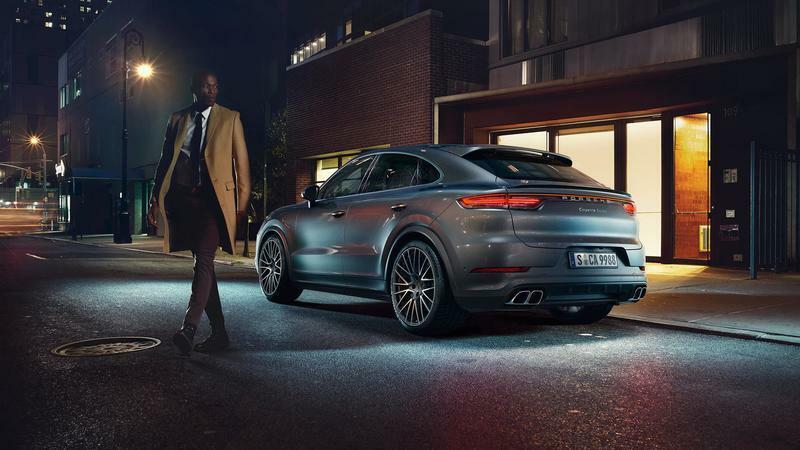 On the other hand, the Porsche slots below the Mercedes-Benz GLE Coupe when it comes to cargo room. The Merc offers an additional cubic foot with the rear seats up and an additional 6.4 cubic feet with the rear seats folded flat. 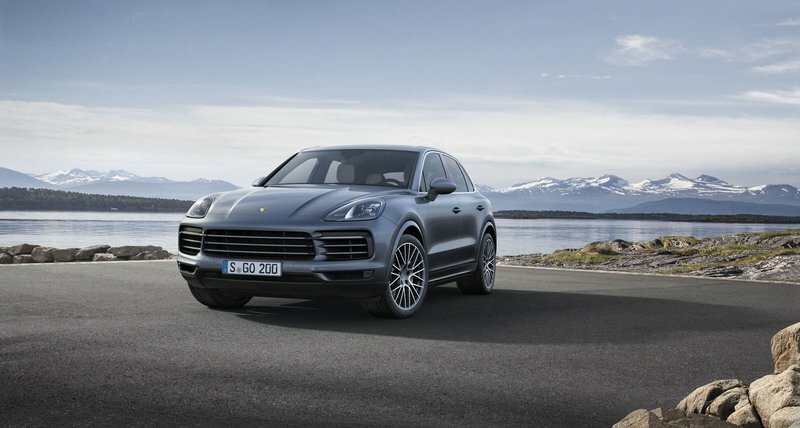 Porsche launched the Cayenne Coupe with two engines, both sourced from the regular SUV. For the time being, the base model features a turbocharged, 3.0-liter V-6 rated at 335 horsepower and 332 pound-feet of torque. 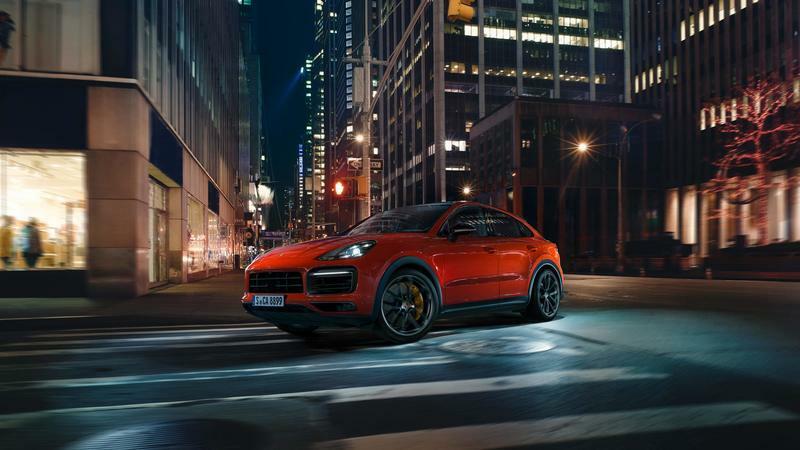 This is identical to the base Cayenne and pushes the coupe model form 0 to 60 mph in 5.6 seconds. This is enough to keep the Cayenne Coupe competitive against the BMW X6 xDrive35i. Powered by a 300-horsepower six-cylinder engine, this Bimmer is almost a half-second slower to 60 mph, needing six clicks to hit the benchmark. This crossover is less powerful than the Mercedes-AMG GLE43 Coupe, which delivers 385 horsepower and 384 pound-feet of torque, but it’s just as quick to 60 mph. The base model’s top speed is locked at 151 mph, slightly below the usual 155-mph rated for German vehicles. 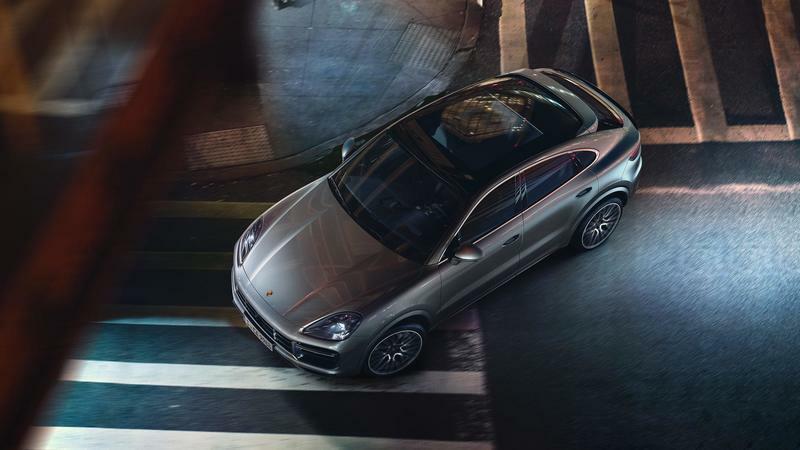 The second trim available from the very beginning is the Cayenne Coupe Turbo. Just like the familiar Cayenne Turbo, it hides a twin-turbo, 4.0-liter V-8 under the hood. The mill produces the same 541 horsepower and 567 pound-feet of torque. The sprint to 60 mph takes an amazing 3.7 seconds. The top-of-the-range Cayenne Turbo Coupe uses a 4.0-liter twin-turbo V8 producing 541 hp (404 kW), and 567 lb.-ft. of torque. It accelerates from a standing start to 60 mph in 3.7 seconds and has a top speed of 178 mph. Can you get something similar from the competition? Well, BMW’s xDrive50i model, powered by a 4.4-liter V-8, is a little too weak. The engine cranks out 445 horsepower and pushes the SUV to 60 mph in 4.6 seconds. The Turbo is a better match for the X6 M, which comes with 567 horsepower and 553 pound-feet on tap. The Bimmer is still slower though with a 0-to-60 mph sprint of exactly four seconds. Moving over to the Mercedes GLE, the AMG GLE63 S is also slightly inferior. The 4.0-liter V-8 delivers 577 horsepower and 561 pound-feet and pushes the SUV to 60 mph in 4.1 clicks. 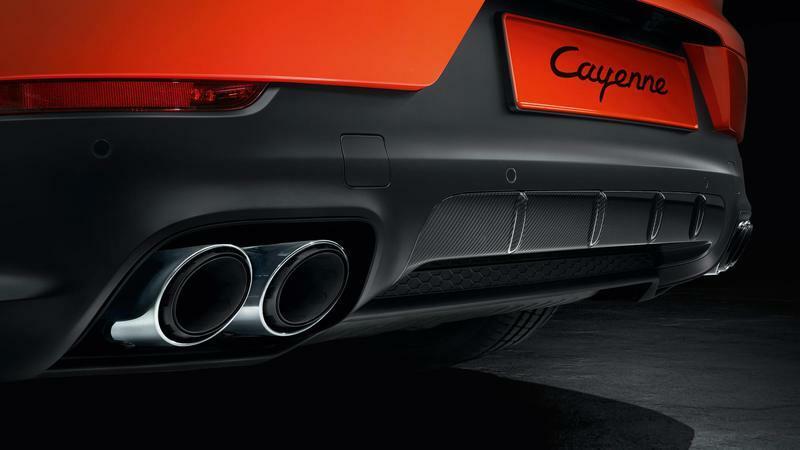 The Cayenne Coupe also comes with a few extra standard features in this department. Every model is fitted with the Sport Chrono Package that shaves a tenth-second of the 0-to-60 sprint time in addition to adding some features inside the cabin. The crossover also rides on the Porsche Active Suspension Management (PASM) system. Finally, you can add the optional Sport exhaust system on the Turbo model for a throatier engine note. The big question now is will Porsche add more drivetrains in the future? Definitely. I can see at least two more hitting showrooms. 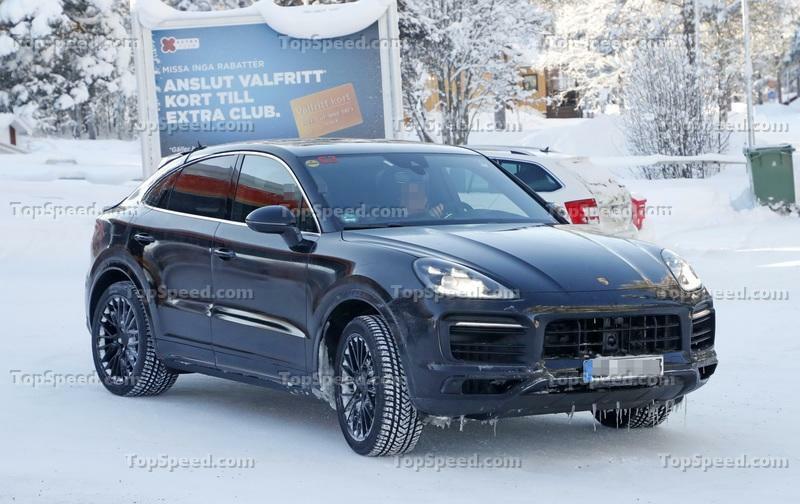 Next up, we should get the Cayenne S trim. Powered by a 2.9-liter V-6 with two turbochargers, this mill pumps 434 horsepower and 406 pound-feet of torque. This version will provide a good middle ground between the existing and Turbo models. But the Turbo won’t remain the range-topping model. 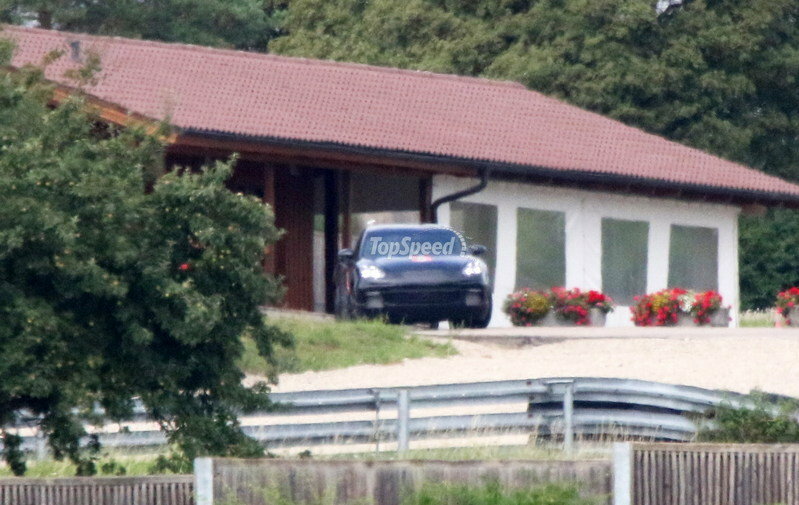 Porsche will likely borrow the Turbo S E-Hybrid drivetrain from the regular SUV as well. This 4.0-liter V-8 and electric motor combo produces an amazing 671 horsepower and 627 pound-feet of twist. 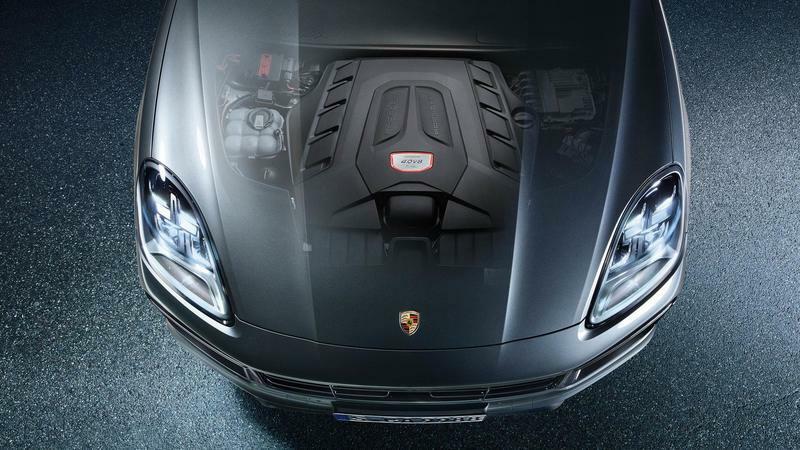 With this drivetrain under the skin, the Cayenne Coupe will obliterate all competition! Although Porsche has yet to launch a GTS version of the Cayenne, the Coupe model could get one in the future. All existing and upcoming engines mate to the company’s eight-speed automatic transmission. 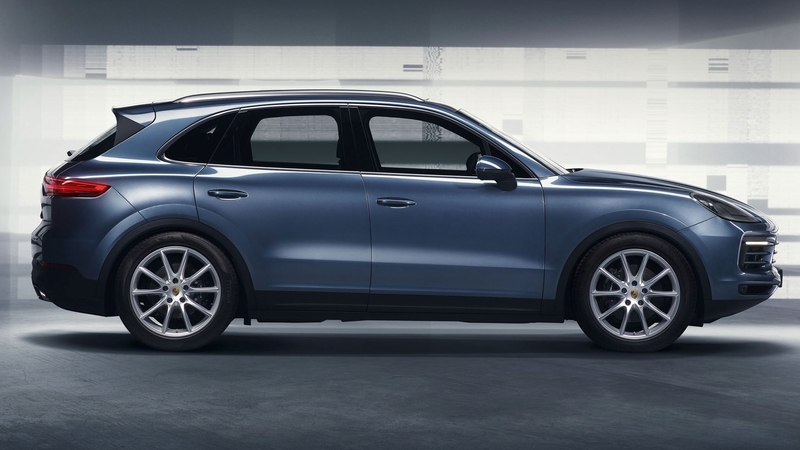 Set to arrive in U.S. showrooms for the 2020 model year, the Cayenne Coupe will retail from $75,300 in base trim. That’s a $9,600 premium over the regular Cayenne. Yes, these coupe-shaped crossovers tend to be notably more expensive. The same goes for the Turbo version, which retails from $130,100, a $5,500 increase over the regular Cayenne Turbo. 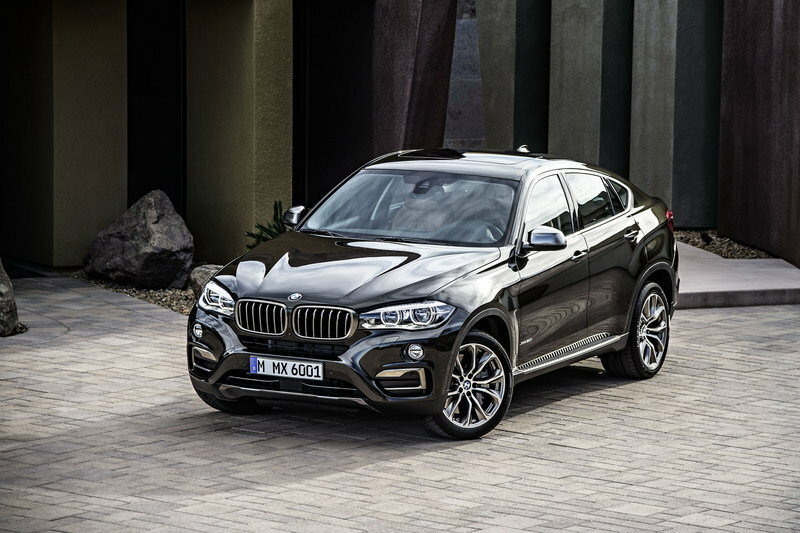 The X6 was the first coupe-like SUV to hit the market and was most recently redesigned for the 2015 model year. Notable changes include a narrower front fascia, a more aggressive front bumper, and revised taillights and exhaust pipes around back. The vehicle is also 20 pounds lighter than its predecessor, a significant improvement given its slightly longer and wider body. 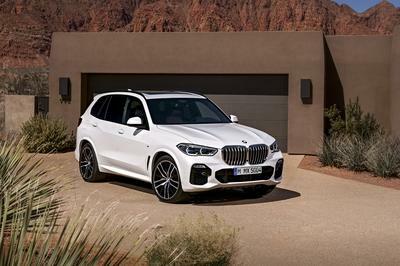 Engine-wise, the second-gen X6 gets its juice from a variety of engines, including BMW’s familiar 3.0-liter inline-six and 4.4-liter V-8 units. While the former generates 302 horsepower and 295 pound-feet of torque, the latter cranks out a whopping 445 horsepower and 480 pound-feet of twist. There’s also a diesel 3.0-liter V-6 that delivers from 255 in the base model to 376 horses and 546 pound-feet in the M50d. On the high-performance front, the X6 competes with an M version that comes with 567 and 553 pound-feet on tap. This version needs only four seconds to hit 60 mph from a standing start. U.S. pricing begins from $62,950. Read our full review of the BMW X6. Mercedes-Benz joined this tiny niche in 2015 with the GLE Coupe, a coupe-styled version of the M-Class SUV, renamed the GLE for its mid-cycle facelift. Sporting styling cues and dimensions similar to the X6, the GLE Coupe is a sportier proposition to the boxy SUV it is based on. However, it’s quite old compared to the Bimmer, as its underpinnings and design were introduced all the way back in 2011. But just like the X6, the GLE Coupe comes with numerous drivetrains sipping both gasoline and diesel fuel. The gas range begins with the GLE 400 4Matic rated at 333 horsepower and 354 pound-feet. More power can be had with the AMG GLE43, which uses a 3.0-liter V-6 rated at 385 horsepower. Finally, the AMG GLE63 S, powered by the old 5.5-liter V-8, benefits from 577 horsepower and charges to 60 mph in 4.1 seconds. On the diesel front, there’s the GLE 350d 4Matic good for 258 horsepower and 457 pound-feet. 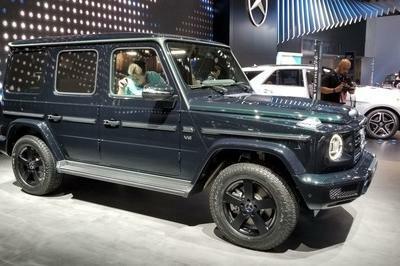 Unfortunately, only the AMG versions are available in the U.S., with pricing starting from $70,500. The GLE was redesigned in 2019, but a new Coupe model won’t be here until 2020. 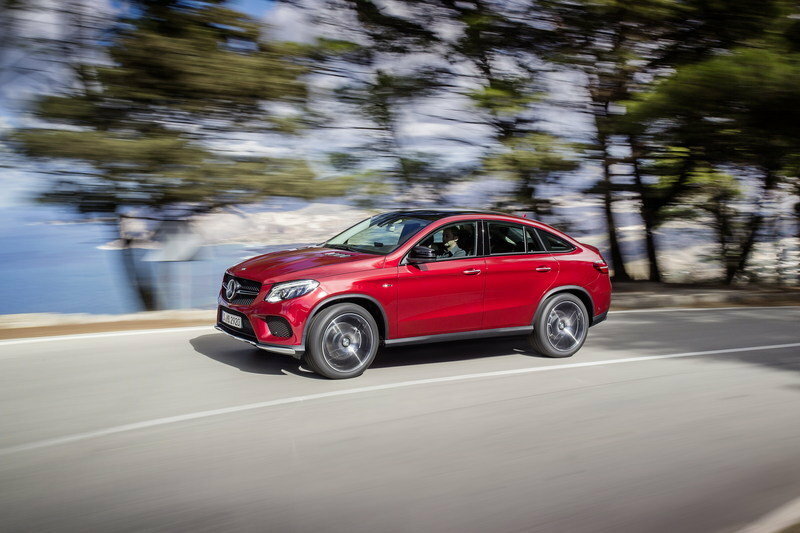 Read our full story on the Mercedes-Benz GLE Coupe. While the X6 and the GLE Coupe are rather old, the Q8 was just launched for the 2019 model year, and this alone should makes it the most capable competitor for the upcoming Cayenne Coupe. Based on the Sport Concept from 2017 design-wise, the Q8 isn’t just a sportier version of the Q7. The crossover actually boasts a unique design language and is more aggressive than any other SUV in the lineup. 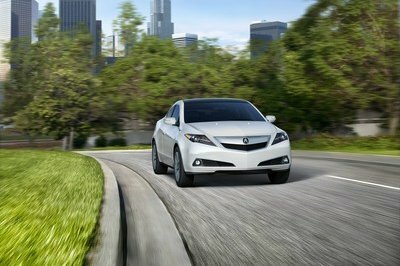 The massive grille, the sporty bumpers, and the sleek profile also make it gorgeous to look at. 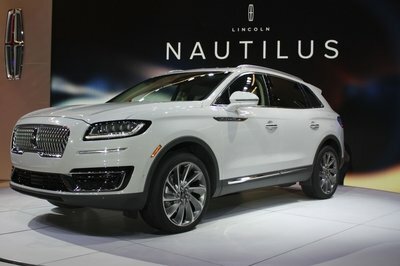 Inside the cabin, it features the same premium look as the Q7, but it’s packed with big displays, a wider center console, and a new infotainment system. Audi claims it offers better rear headroom than the competition. Drivetrain data remains slim as of this writing, but it should be identical to the Q7. Look for V-6 and V-8 engines and an e-tron version with a 3.0-liter diesel at its core. The Q8 also benefits from the company’s new mild hybrid technology, a 48-volt system that incorporates a lithium-ion battery and a belt alternator starter. Pricing starts from $67,400. 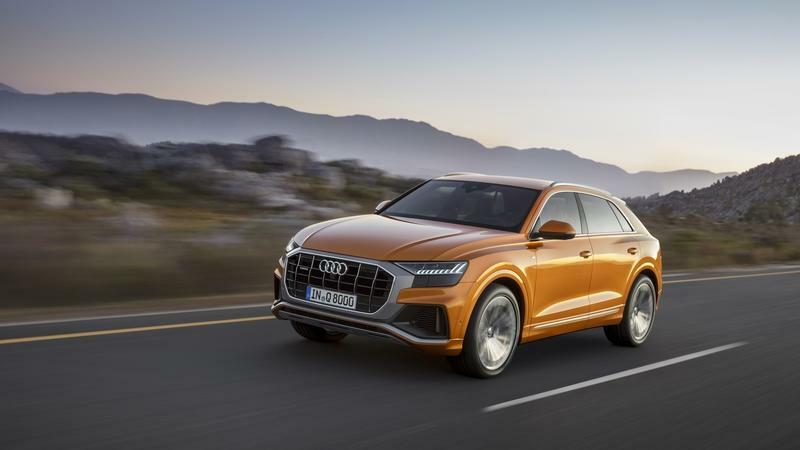 Read our full story on the 2019 Audi Q8. 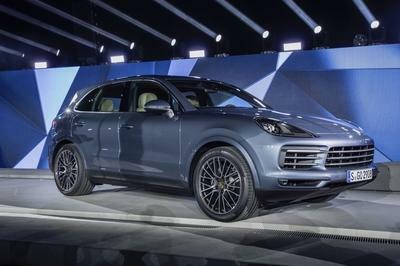 Rumors of a coupe version of the Cayenne have been flying around since 2014 and word had it Porsche would introduce it toward the end of the second-generation SUV. But, for some reason, the German firm decided to wait until the third-gen Cayenne reached dealerships. That’s a strange strategy given that the X6 and GLE Coupe were already on the market for a few years and Audi recently launched the Q8, but it could pay off. Now that the Cayenne Coupe is here, we can say that it has a few advantages over the competition. For starters, both available drivetrains offer more power than the competition. They’re also notably quicker. The Coupe will also borrow the amazingly powerful powertrain from the Turbo S E-Hybrid and will leave the competition behind by a notable margin. Second, the Cayenne Coupe is one of the better-looking coupe SUVs on the market alongside the Audi Q8. The X6 and GLE Coupe have long been criticized for their hunchback design, but the Cayenne Coupe boasts a more appealing design. Read our full review on the 2018 Porsche Cayenne.